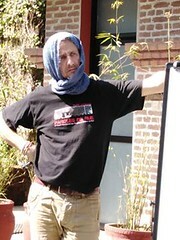 On September 28th, Alexandre Widmer, street social worker in Switzerland at the Espace Prévention la Côte, was in Geneva to represent Dynamo International-Street Workers Network during the side event organized at the Human Rights Summit by our partner the Consortium for Street Children (CSC), an international network of organizations and individuals advocating for the rights of street children. The meeting, held at the United Nations Palace, made it possible to formally present the new General Comment on the Rights of Children in Street Situations to representatives of States, the private economy and civil society. Alexandre, street social worker more used to the streets, shares this experience at the summit and his impressions of this networking meeting organized as a preamble to the United Nations conference. It seems to me that I was the only street worker in the audience. Yet, we are important partners of the work with street youth. That is why, during my speech, I particularly emphasized our expertise on the field and of the streets, as well as our daily advocacy work on a more local scale. 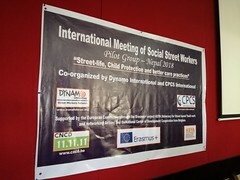 Dynamo International-Street Workers Network can also be a key player in giving a voice to street children and in raising public awareness and information. I have indeed noted a certain “disconnection” with the reality on the field and a logic centered strongly on street children in emergency situation. It also seemed to me that this meeting was mainly aimed at large organizations and NGOs that have a more theoretical approach to street work. Professionals who accompany and follow these children on a daily basis must be represented, consulted and heard at the highest level. For this reason, I wanted to speak out. I wanted to highlight the importance of our contributions. Members of Dynamo International-Street Workers Network need to put take part and provide their specific expertise into these discussions. From my point of view, the text of the General Comment reflects a certain knowledge of the realities on the field. Its content is relevant. But according to some NGO representatives, the non-binding nature of the General Comment leaves States with too much flexibility in its implementation. The testimony of Mr. Dedho Luamba, former street child, on his experience of the street and the work undertaken with the organisation Apprentis d’Auteuil : “It It’s important to take a look at the street, you who are not there”. On 27 and 28 November, at the initiative of the American Bar Association, an international meeting on this theme was organized in Sao Paulo, Brazil. Three members of Dynamo International-Street Workers network participated as leader: Maria Ximena Rojas Landivar (Bolivia), Verónica Müller, Associação de Educadores Sociales de Maringá (Brazil), Luis Enrique Hernández, El Caracol (Mexico).